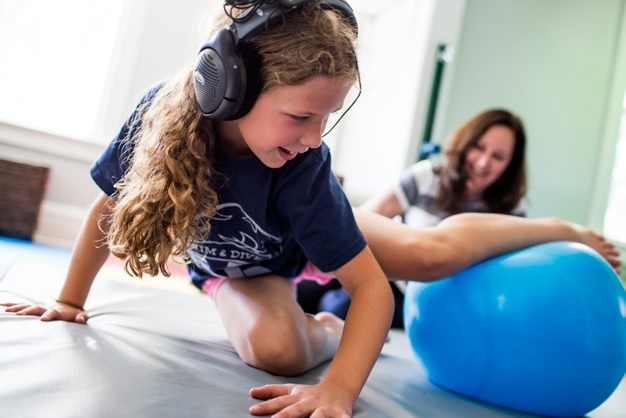 Moveabout Therapy Services is a paediatric therapy clinic located in the Norwest Business Park in Bella Vista, providing occupational therapy and speech therapy for children throughout Sydney and beyond. Our clinicians have experience and training in Australia and the United States of America and continually aim to provide the best service based on the most current information. Our clinicians use the latest in advanced therapeutic techniques and equipment to help improve the health and well-being of children and families. To ease access to our services, we accept payment through the FaHCSIA Helping Children with Autism and Better Start packages, and we can accept Medicare referrals under the General Practitioner Management Plan (GPMP)/Enhanced Primary Care Plan (EPC), GP Mental Health Treatment Plan/Mental Health Care Plan (MHCP), and our services are also covered by private health insurance providers. Please explore our website to discover more about our clinic, the therapeutic tools we use, and the services we offer. If you have further questions, please call or email to discuss the details of how we could help your child and your family.